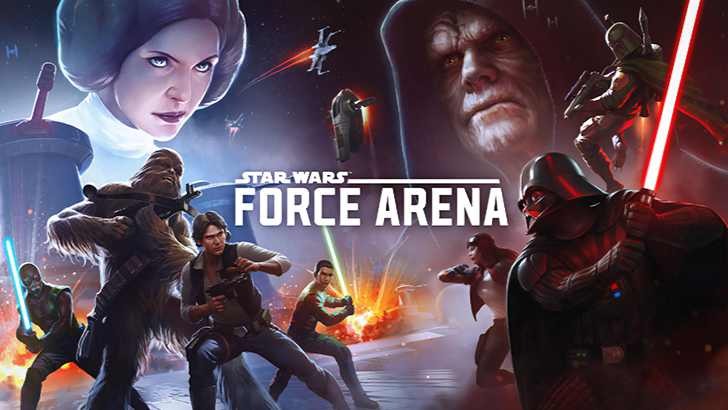 The new Star Wars Force Arena game is now available for android devices. Previously, the game was released for testers as a limited beta. However, now it’s officially released worldwide. Force Arena is a real-time PvP game where you build your own squad from over 80 characters, including Jyn Erso or Grand Moff Tarkin, and battle 1v1 or 2v2 against other players. ● LEAD a team of iconic Star Wars™ characters including Han Solo, Darth Vader, and even new Rogue One™: A Star Wars™ Story characters such as Jyn Erso or Grand Moff Tarkin! ● COLLECT character cards and upgrade your favorites to create the ideal Rebel or Imperial squad while leveraging powerful character duos that boost your effectiveness in battle. ● COMPETE to earn rewards, special characters, and bonus items by participating in events as you climb to the top of the leaderboards on your journey for galactic dominance! The Star Wars Force Arena game is free. Download the game from the Google Play Store or from the link below.